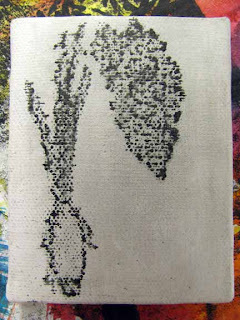 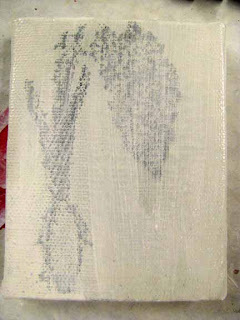 3x5 inch gessoed canvas with an alcohol transferred image. Second coat of gesso, this time over the image transfer. Once the gesso is dry I'll paint an image to go with the carrot.